We offer various testing and monitoring services all carried out by ourselves. Full LEV tests including filter condition/performance. Fully compliant with all the known regulations. All LEV tests are done by myself with 10 years experience in LEV testing. We are well aware of the scare tactics and rip off prices used by some LEV testers out there. Don't worry I'm not like that. We test the Dust levels in factories, warehouses and from process where large amounts of dust is given off. 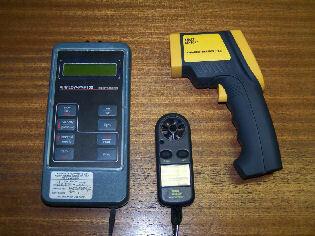 We also do personal dust spot analysis on personnel exposed to dust levels in their working environment. This can be peak amounts or over a working shift. We can analyse your type of dust and provide guidance if it is within the Occupational Exposure Limit. These can include personnel peak noise exposure, background noise checks and noise levels throughout a department or factory. Sensible prices and reports with help and advice on improvements and regulations. Individual tests or a package of tests together. Tests can be combined with a supply & fit package. Sensible pricing and good value. We don't sell by scaring people with legislation. Everything is done by ourselves.